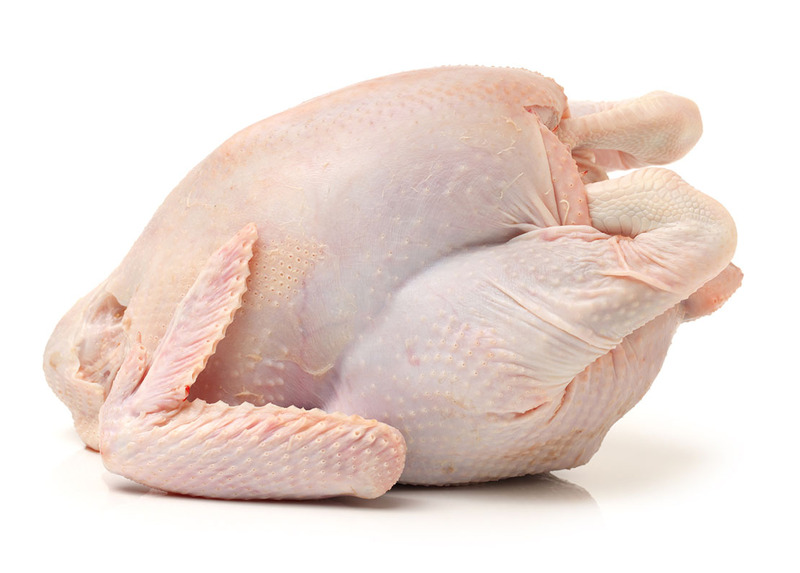 New testing has revealed increasing levels of antibiotic-resistant E.coli bacteria in UK supermarket chicken and pork. The research found 24 per cent of chicken samples tested positive for ESBL E. coli, a type of E. coli resistant to modern cephalosporin antibiotics. A similar study in 2015 found just six per cent of chicken tested positive. Cephalosporins are used for treating life-threatening E.coli blood poisoning in humans. About 51 per cent of the E. coli from pork and poultry samples were resistant to trimethoprim, which is used to treat lower urinary-tract infections, and 19 per cent were resistant to gentamicin, an antibiotic used to treat more serious upper urinary-tract infections. The study, commissioned by the Alliance to Save our Antibiotics (ASA), looked at 189 UK-origin pig and poultry meat samples from Asda, Aldi, Co-op, Morrisons, Sainsbury’s, Tesco and Waitrose). ESBL E. coli was found on meat from all the supermarkets. Emma Rose, ASA campaigns officer, said the findings show overuse of antibiotics on British farms is likely undermining the treatment of E. coli urinary-tract and blood-poisoning infections in humans. Some of these antibiotics are used in far greater quantities in livestock than in human medicine, she said. Dr Mark Holmes of Cambridge University, who led the study, said: “Insufficient resources are being put into the surveillance of antibiotic resistance in farm animals and retail meat. We don’t know if these levels are rising or falling in the absence of an effective monitoring system. Dr Ron Daniels, chief executive of the UK Sepsis Trust, added: "E.coli in people is the greatest cause of deaths from sepsis, and poor antimicrobial stewardship in intensive farming is undoubtedly contributing to this trend. It’s of paramount importance that we act decisively to reduce this immediate threat to human life." In 2015 Waitrose said antibiotics would not be used for routine prophylaxis in its supply chains. In August it updated its policy, stating it is working towards significant year on year reductions in usage of all antibiotics and pledging to end the use of CIAs as soon as possible. The ASA is calling for similar action from all supermarkets. Responsible Use of Medicines in Agriculture Alliance (RUMA) chairman Gwyn Jones said the farming industry recognised concerns about growing resistance to antibiotics, but resistance in humans remained largely attributed to human medical use, with a recent study confirming farm animal use could be responsible for as few as one in every 370 clinical cases. He said UK farming is already reducing use of CIAs. “Sales into farming of fluoroquinolones and third and fourth generation cephalosporins, which are CIAs, are already very low in the UK, representing just 0.9 per cent of the total,” he said. “In 2012 the poultry meat industry introduced a voluntary ban on the use of third and fourth generation cephalosporins and a commitment to reduce the use of fluoroquinolones which has since led to an overall reduction. The third and fourth generation cephalosporins authorised for use in pigs cannot be given in-feed or in-water and are only ever administered to individual animals. He said bacterial infections and associated inflammation cause pain and discomfort to animals. Treatment is required under animal welfare legislation, and vets are under oath to protect the health of animals in their care. Devon vet Danny Chambers said: "It is vitally important that measures are taken to reduce the reliance on antibiotics for farm animals. Good management practices such as stocking density, hygiene of animal housing and vaccinating when possible all dramatically reduce the occurrence of diseases requiring antibiotic usage." A joint statement from the British Veterinary Association, British Veterinary Poultry Association and Pig Veterinary Society said: “The veterinary profession recognises that antimicrobial resistance is a global problem for both humans and animals, so is working hard with companion animal owners, livestock farmers and other species stakeholders to promote the responsible use of antibiotics. Antimicrobials are crucial for the maintenance of animal health and welfare, and there are many innovative and important developments happening in the poultry, pig and other sectors to promote good practice for antibiotic use in animals, and to explore alternative measures. It is essential that we learn from and share this best practice across the UK and beyond.